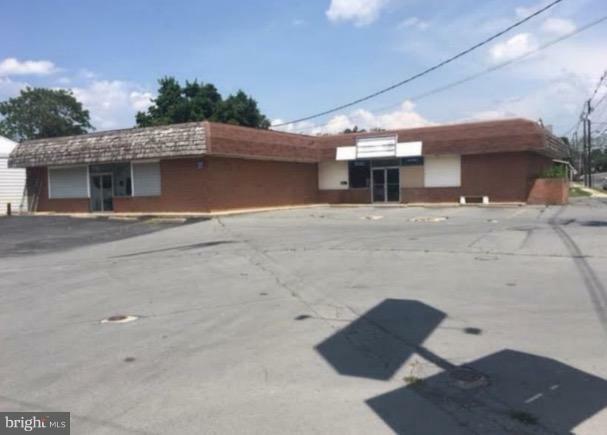 4,497 SF Retail Building for sale. Former convenience store and thift shop located at the corner of S. Main Street and Derbyshire Street. Great visibility. Zoning allows for many retail uses. Zoning Description Allows For Retail Restaurants Banks Convenience Store Etc. Acceptable Financing CashConventional Accessibility Features 2+ Access Exits Assessment Year 2018 Association YN No Business Type Retail Central Air YN No Cooling Fuel None Heating Fuel Natural Gas Hot Water Electric Incorporated City Name Chambersburg Navigable Water YN N New Construction YN No Original MLSNumber 301289786200 Ownership Interest Fee Simple Possession Settlement Property Sub Type Retail Sale Type Standard Sewer Public Sewer Tax Annual Amount 5288.0 Tax Assessment Amount 19380.0 Vacation Rental YN No Water Source Public Zoning Dch - Commercial Highway Zoning Description Allows For RetailRestaurantsBanksConvenience StoreEtc.